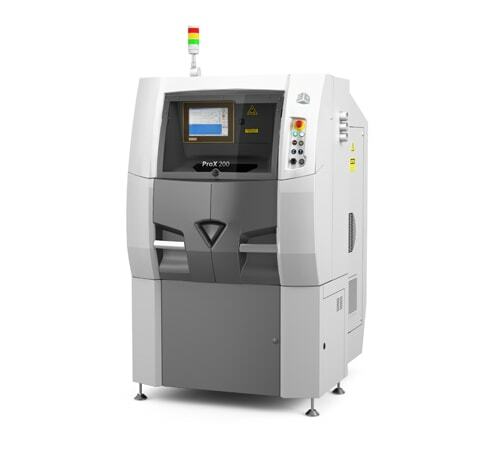 The latest addition to the ProX™ range, the ProX 200 integrates a powerful laser adapted to an intermediary production volume for the streamlined manufacturing of precise, medium-sized metal parts. The ProX 200 is a high-performance, high-quality alternative to traditional manufacturing processes, offering reduced waste, greater speeds for production, short set up times, very dense metal parts, and the ability to produce very complex assemblies as a single part. In addition, the ProX 200 gets you to your part faster with seamless, intuitive 3D printing software. The ProX 200 system offers a build volume of 140mm x 140mm x 100mm height. It features semi-automated material loading and an optional external recycling system, and supports materials, including Maraging 1.2709, Stainless 17-4PH, Ti6Al4V, AlSi12 as well as ceramics.